The electronic translation service is hosted by Google Translate. The quality of the translation may vary in some of the languages offered by Google. The goal of the basic translation is to capture the general intention of the original English material. Google Translate is a free service and currently offers translation in over 50 languages. Richmond Art Gallery cannot guarantee the quality, accuracy, or completeness of any translated information. Before you act on translated information, the City encourages you to confirm any facts that are important to you and the decisions you make. Members of RAGA are cordially invited and encouraged to attend the Association’s Annual General Meeting (AGM) on Tuesday, March 15 at 7:00pm. This is your opportunity to participate in our governance process, get updated on our progress and finances from the past year and elect* incoming board members. We will also be welcoming Mila Kostic as our incoming board president. Immediately following the meeting Gallery Director, Rachel Rosenfield Lafo, will present “An Anatomy of an Exhibition,” focusing on the current Peter Aspell exhibition to explain the ‘nuts and bolts’ of how an exhibition is organized. *All are welcome but only RAGA members of more than 30 days are eligible to vote at the AGM. For all events, see our upcoming events page. 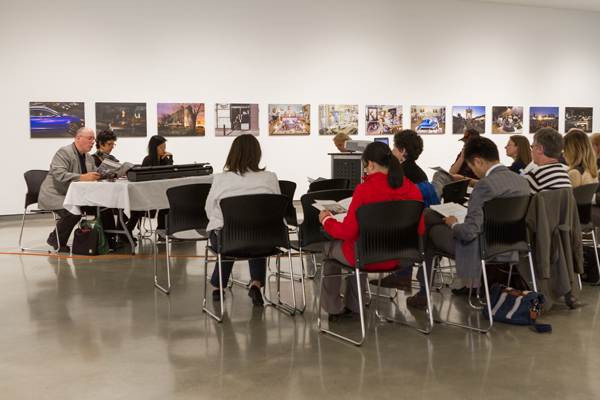 The Gallery gratefully acknowledges the ongoing financial support of City of Richmond, Richmond Art Gallery Association, British Columbia Arts Council, Province of British Columbia, and Canada Council for the Arts.